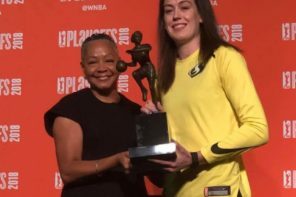 Many a draft board had Oregon’s Sabrina Ionescu as the top overall pick to the Las Vegas Aces in the upcoming WNBA Draft. Those draft boards will need some big time retooling over the next few days after the Oregon star decided she is going to give it one more try to bring a national championship to Eugene. The Players’ Tribune has been quite the outlet for many a women’s basketball announcement. It was where Nneka Ogwumike wrote the “Bet on Women” piece declaring that the WNBPA would opt out of its collective bargaining agreement with the WNBA at the conclusion of the 2019 season. It was also where Maya Moore announced she would be taking a year away from professional basketball for other pursuits away from the hardwood. And it is where Ionescu made her announcement that she will don the green and gold of Oregon for one more season. 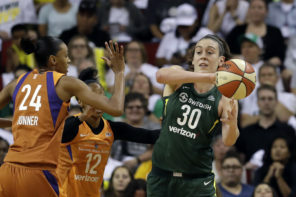 WNBA – I’ll see you soon. Real soon, I promise. She first detailed how amazing it was to have the Kobe Bryant break down every element of her game. And even though, according to her, one may think that this is the pinnacle of her career, she believes she has more to do before she takes that leap of faith into the W.
Ionescu expressed confidence that with the strides that the team has made since her freshman season that next year could be a special year at the University of Oregon. But she also mentioned that what this is about is not only about the 2019-2020 women’s basketball season. I remember our home games that first year. It was basically my parents, my friends…and, like that was it. Now we’re drawing…I think we averaged almost 7,000 fans per home game this year. And then add to that – we have people like Steph Curry, Shea Serrano, and LeBron James shouting us out and climbing on the bandwagon?! Ionescu also mentioned that she took a look at the Kobe Details video one more time and that instead of looking at it as her game being too easy to figure out, she looked at is as a challenge to close out her collegiate career with a bang. 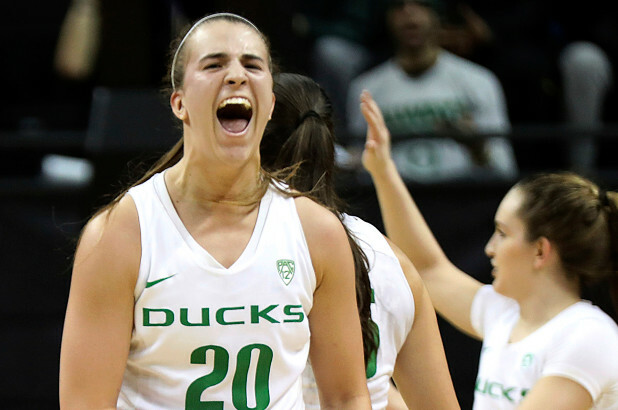 Watch out for Oregon in 2019-2020…Ionescu looks like someone on a mission. As for the Draft, this increases the possibility of Asia Durr from Louisville being the overall No. 1 pick to the Las Vegas Aces, creating an A’ja-Asia connection in Sin City. Who knows how the rest of the Draft will turn out? We will know on Wednesday night when the draft once again returns to the Nike headquarters in New York City.